I’m sure most of you will have seen or read the articles in September about fake honey. The news was first released during the Royal Adelaide Show so we had lots of opportunities to discuss the issue with our customers. I was a little surprised (and a little pleased) at the strong reaction. I actually had lots of people say that they went home and checked their cupboards and in many cases threw out honey they believed to be fake! It is important to note that the articles that were published related to specific lines within specific brands. Not all honey sold in supermarkets is fake. Not all honey within certain brands is fake. Essentially it means you need to check your labels and look for 100% South Australian Honey. “Honey means the natural sweet substance produced by honey bees from the nectar of blossoms or from secretions of living parts of plants or excretions of plant-sucking insects on the living parts of plants, which honey bees collect, transform and combine with specific substances of their own, store and leave in the honeycomb to ripen and mature. What it boils down to for me is, in all our purchases and transactions, choose local and choose what you know. It has many flow on benefits. You support your community with jobs, you reduce food miles and therefore your environmental impact is much more positive. Honey Lady is committed to supporting South Australian beekeepers and businesses. If you have any questions at all about our products please contact us via fb or email (info@honeylady.com.au). I think ‘buying local’ has become one of those things that we hear so often that we forget what it really means. Buying local to me means supporting the businesses that are physically closest to me. And by doing that I am not only supporting my friends and neighbours I have the added bonus of reducing the environmental impact purely because I don’t have to travel far to get it. To Feel Good though I want to go further than that. By buying local I am supporting my community which, hopefully, in turn supports me. In addition to that I want to Feel Good. So if that business is also paying fair wages and doing the right thing by the planet then that is definitely a bonus. An easy way to make sure that your fresh produce is local is to visit a farmers/produce market. If you haven’t been to a market for a while maybe now is the time. If you are in Adelaide there are some great markets that have grown over the last couple of years. I’m the first to admit that I don’t buy 100% locally made food and products. Sometimes it doesn’t exist locally and sometimes I just want the other product. But, I do my best to make informed choices and choose local when I can. The fact is if we don’t want other businesses to go the way of the local car manufacturing industry then we have to support local business. And by default that will support you. Honey Awareness Month is all about raising awareness and acknowledging the reliance we have on bees.Bees not only provide us with delicious honey they also pollinate many of the fruits and vegetables that we take for granted. We will have specials in-store and on-line for the whole month of May to help encourage you to try some delicious raw honey. Check our fb page or our website blog for details of specials. Bees play an important part in our lives and without them our markets and fruit and veg stores would be a lot less interesting. There are so many things that we can do to ensure that we keep our amazing array of foods available. Plant more flowers. Different varieties, different colours and different flowering times all make sure that the bees have food all year round. DON”T use weed killers! Instead boil the kettle and pour boiling water on your weeds. The weeds will be gone in a couple of days. The bees (and other animals and insects) will be happy. You wont have exposed yourself and your family to toxic chemicals AND you’ll save money. It’s a win win! Get a hive in your back garden. There are lots of groups out there that will help you with this. You can have a hive in your backgarden and someone to come and look after it for you and you get to share in the honey. Delicious! In hot weather make sure there is water in your garden for the bees and other insects and animals in your garden. Buy local raw honey. To support our beekeepers and ensure the industry keeps going make sure that the honey that you buy is local not imported. I have to admit that I’m a bit fussy when it comes to bananas. They have to be just right – not too hard and not too soft and if they start to get a little bit ripe then I wont be eating them! But never fear they don’t go to waste. I just pop them straight into the freezer and they are there ready for the next smoothie or banana muffin baking. If you don’t already do this it is a great way to make sure you don’t waste AND they are then perfect for mashing for baking. They are also good because they don’t go super hard which means you can grab one straight out of the freezer, chop it up and chuck it in a smoothie (even better chop it up first and put it in a labelled container in the freezer!!). We have a couple of great recipes on our Recipe page if you need some inspiration. For a quick and easy smoothie grab some natural yoghurt, raw honey to taste (Cup Gum or Cinnamon are my favourites), chop up a frozen banana, blitz and you are done! Add milk if texture is too thick. To help you with your smoothie journey we’ve got 10% off all of our plain raw honeys for the next week. Available on-line (use codeword Banana) in store and at The Market Shed on 3rd May – just make sure you mention this Blog – Banana Blitz. Honey Lady has a new home!! I have just signed the lease on our new premises! As of 1st December 2014 the Honey Lady will be located at 1/27 Bennett Street, Thebarton. We are very excited about the move and hope you’ll come and visit us to check out all our goodies. We are going to have a range of new products available for purchase. These products have been sourced from local and artisan businesses as we feel they are a good fit with our honey. Lemon Myrtle Honey was a Winner. Phew! 10 days is a long time …. I really enjoy the Show but you do tend to live in a bubble while it’s on with all other aspects of normal life being put to one side. For me it is 130 hours over 10 days and that’s without pack up and set up. And I’m one of the lucky ones, a lot of other stall holders have further to travel and more products etc to pack! BIG THANKS go to my family and friends that helped me out with meals, kids and everything else! Over the 10 days we sold over 1,000 jars of honey and used over 5,000 tastings sticks. Our best seller was hands down our new flavour Lemon Myrtle which sold out! In addition to those sales our Cinnamon Honey was included in the Premium Food and Wine Trail which sold just over 500. We also had a prize draw for 6 jars of our spice blended honey. All those that signed up for our newsletter went into the drawer. The lucky winner was Allyson McAllister! Congratulations Allyson. Thank you to all of those that entered and hopefully you will be on the winners list next time. We are always looking for new suitable stockists so if you have any suggestions please let us know. You can also always ask a store that stocks our Honey to add to the range they stock. How many days till next year? Well it’s been a week since I started my experiment so I thought I should provide an update. Firstly I’d just like to say that I find it very difficult to change my morning routine. I just do everything on auto pilot until the kids are on their way to school. Which means …. that I managed to do 3 days of my experiment before I forgot …..
Having said that I think the 3 days showed a big difference. Particularly on the blemishes, they were essentially gone after 3 days which is probably the other reason my experiment stopped! BUT. I’m back on the trail. I’ve moved my jar of turmeric honey into the bathroom (will get another one for the kitchen) so that it is there in front of me in the mornings making it easier to remember – hopefully. I’m going to continue with 1 ½ of my face, applying in the morning and leaving for approx. 15 mins. I’m going to continue with ½ because I really want to know if it makes a difference to my normal skin as well as to the blemishes. I find it easier in the morning before my shower because then I can make any ooops’s can be washed out of my hair or eyebrows. I probably wont do every day though as some days I just don’t have time to sit/walk around with a yellow face …. I thought I’d make my first blog an experiment just for something fun! The experiment has been inspired by waking up with two delightful pimples on my face the other day – really I think I’m too old for pimples!! So, my experiment is using Honey Lady Tumeric Honey as a face mask and cleanser to see how it goes. Raw honey is anti-viral, anti-bacterial, anti-fungal and anti-inflammatory and turmeric is a natural antiseptic and antibacterial agent. I did the first application yesterday but just on the spots. Today I decided to do half my face so that I can do a proper comparison. I applied the honey to my face and left for 15-20 minutes and then rinsed off with water. I have to say that after just two applications I can already see a difference. 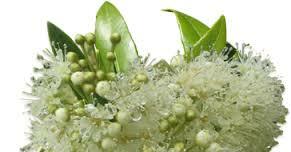 It removes any oilyness from the skin and also has reduced the inflammation of the two pimples. Will keep going for the rest of the week and report back and tell you how it goes! NOTE: It doesn’t look attractive and you really don’t want to forget it’s on your face and either open the door or rub your nose!